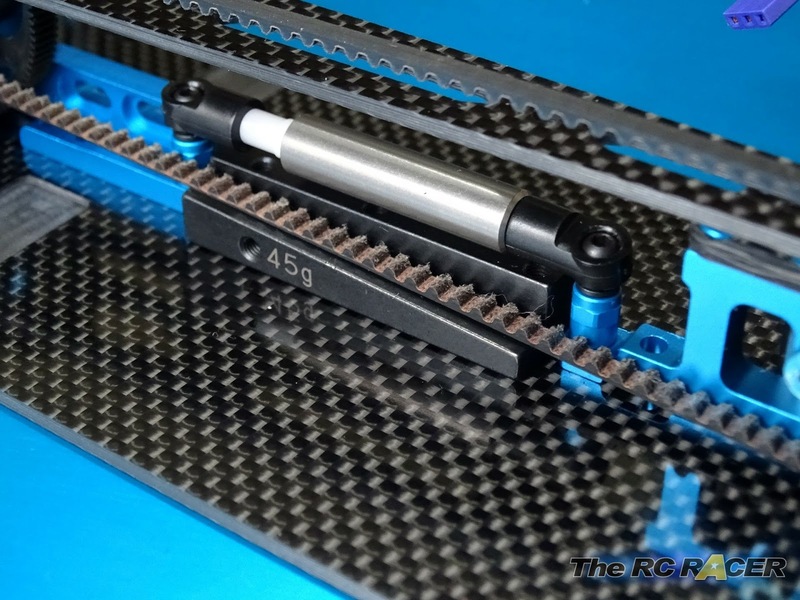 I've been racing the TRF419XR over a variety of different tracks ready for the review. However in the meantime I have also been experimenting with a few other tuning options. Including working on a Pitch Damper mod. One of the great things about the latest TRF419XR chassis is that Tamiya has taken the concept of a torque link and has provided a revised motor and servo mount that allow you to easily fit the kit included deck or link. 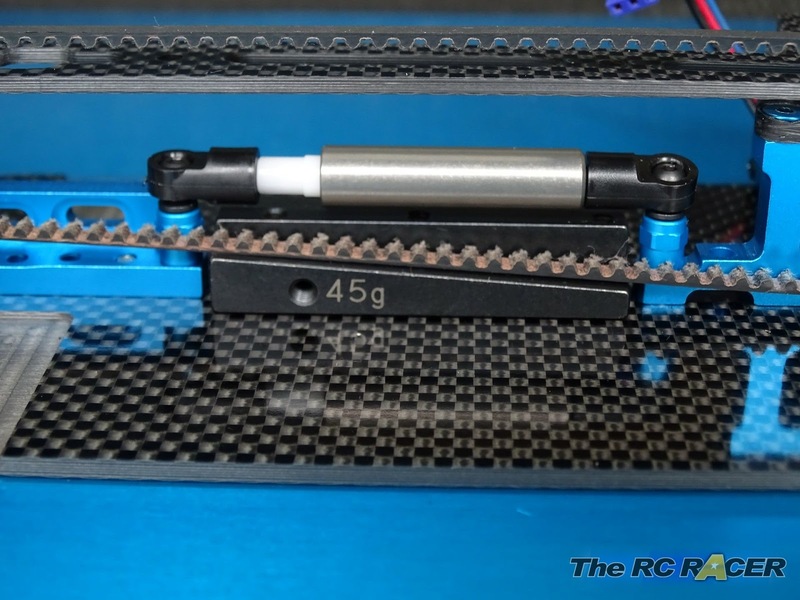 Recently when racing on a low grip carpet, I had been alternating between the torque link and without. As you would expect, running without the torque like made the TRF419XR easier to drive as it was less responsive on the throttle and steering, adding the link made the chassis feel more responsive but slightly more edgy. I wondered if there was another option? So after a brief brainstorm track side with some racing buddies, the conversation moved onto the Yokomo YR4. So we hatched the idea of running a centre damper. The theory is that it will be a halfway house between no damper and the torque link. 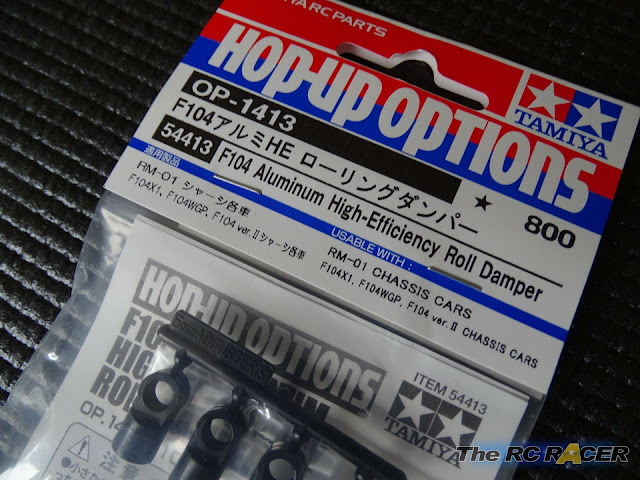 I tried a few solutions but in the end I have found a very tidy and easy to install set of parts that will give you a Tamiya Pitch Damper. The whole assembly is really easy. Just build the damper and add the ball connectors to the end points. At this stage you can also add a spring in the damper. This again is a way to refine the response of the pitch damper. Just fit it in before the plastic rod. Then just add some sticky grease, I have some of the Tamiya friction damper grease that I use for my RM01X. 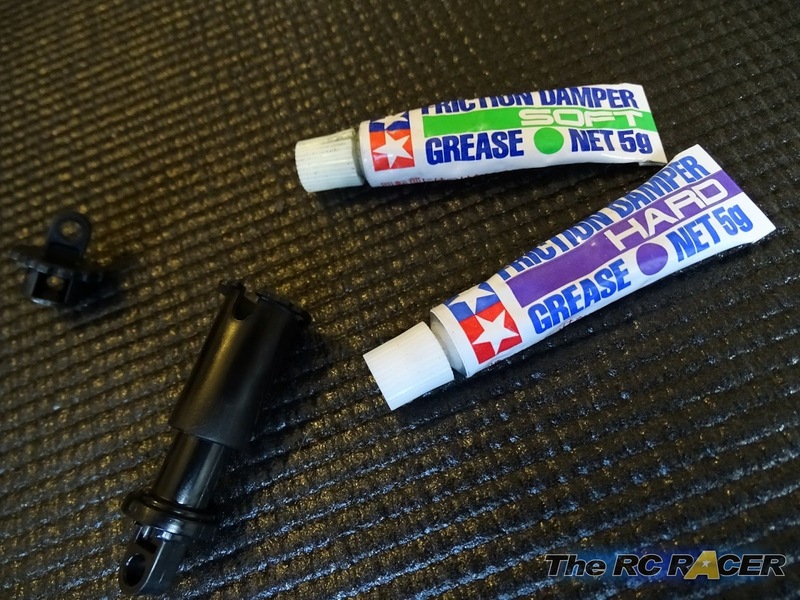 I used the hard grease without the spring, but you can tune it how you want. 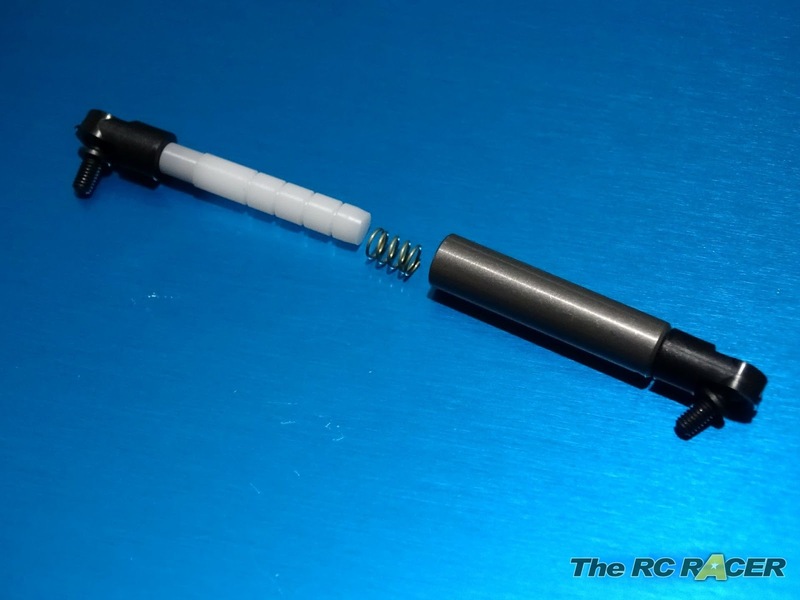 With the hex ball connectors attached you can easily attach the pitch damper to the chassis with your 2mm driver. As you can see the damper fits perfectly and you have good clearance even with the centre weight installed. 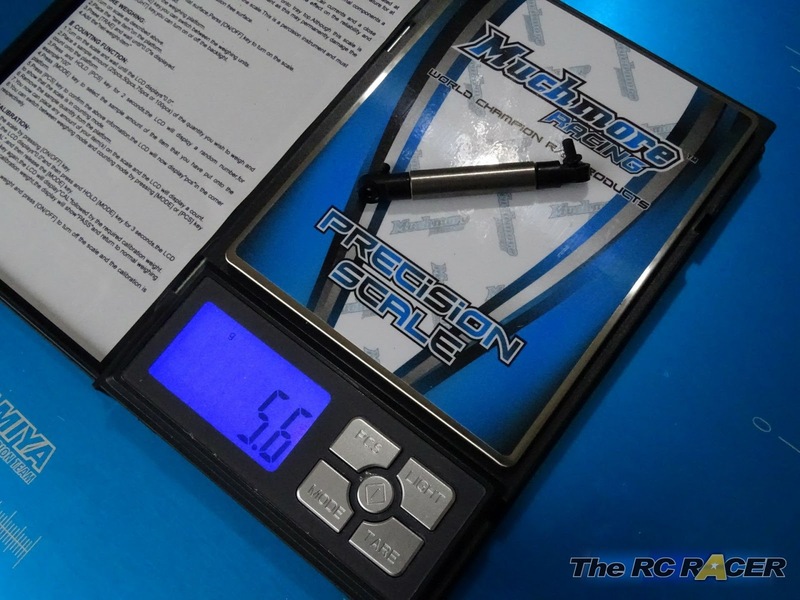 The part weighs in at 5.6g, not that heavy. With the Pitch damper installed I was curious to see if it would provide any tangible difference. With the first race I ran without anything on the chassis. The TRF419XR was very easy to drive, and whilst I managed to take the win in the heat, I felt that I was missing the rotation mid corner that I like. For the second test the car had the centre torque link installed. The car was noticeably more urgent acting to my input. It felt much more responsive and to be honest the car was great. There were a few corners where I had to correct a little too much over rotation, but in the end I was a whole 9 seconds faster than before. I then moved onto the pitch damper. Again the car felt responsive, however it was not quite as twitchy as before. I still had more rotation, but the rear was more settled on the apex and I felt more confident. In the end I managed to improve by nearly 3 seconds. My fastest lap was 0.1 slower than with the torque link, but my average 10 was better thanks to the consistency. It felt like the pitch damper still gave the TRF419XR the throttle urgency that the torque link did, but I suppose the fact that it is not a fixed length allows the chassis to still flex more across, giving some mechanical grip back on the corners. I only had one more race, so I decided to keep the Pitch Damper installed. Again I improved and scored the best lap with a .3 second improvement and also finished another 3 seconds ahead of my best time. So at the moment I am quite encouraged with the results. 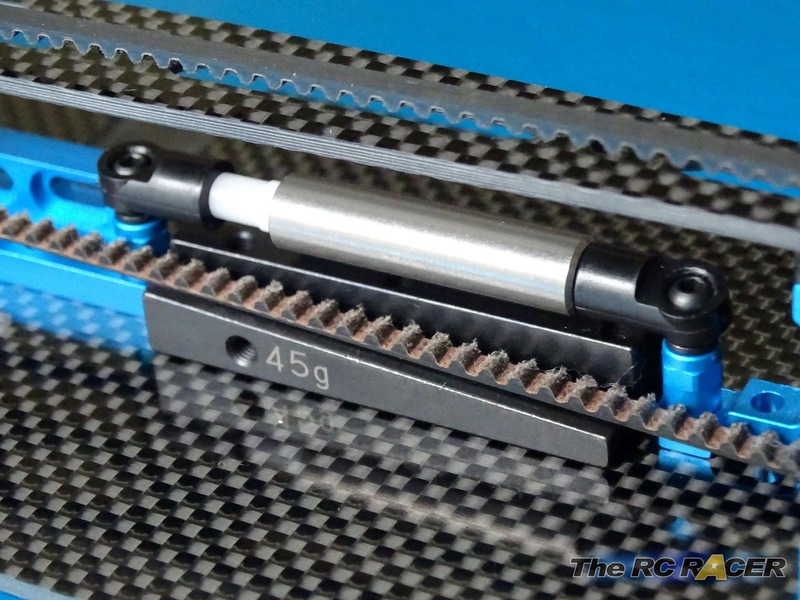 However I would hardly say it is conclusive as there are other factors that can help such as the carpet grip itself getting better over time. Its nice and cheap to try, and I think it has been a worthwhile experiment so far. I am interested to explore more tuning options with this pitch damper. I want to try it on a range of different surfaces. However for the low/mid grip surface I thought the Pitch damper seems to work really well. Going forward I am going to see if installing shims under the ball connectors to angle the Pitch damper would make any difference? Also there are a lot of different tuning possibilities with different springs (or even running without) and different greases. More importantly, I would be keen to hear what other racers think of running a pitch damper especially outdoors.